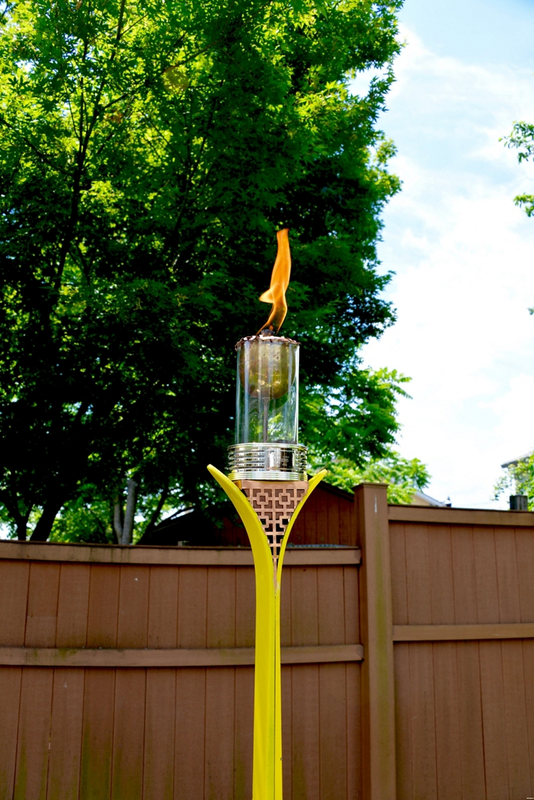 Turn your old pair of ski's into a Tiki Torch with Krylon® Fusion All-In-One™. Use wood cutter and create 6 blocks. Take your wooden blocks and create a box shape with a slit in the center large enough to fit both skis. Spray the wooden base with Krylon® Fusion All-In-One™ Hammered Finish in Hammered Copper. Wrap the painted base with the copper screen. Paint ski's with Krylon® Fusion All-In-One™ in Gloss Sunbeam. Allow 25 minutes for all paint to fully dry. Glue ski's and base together with construction adhesive.